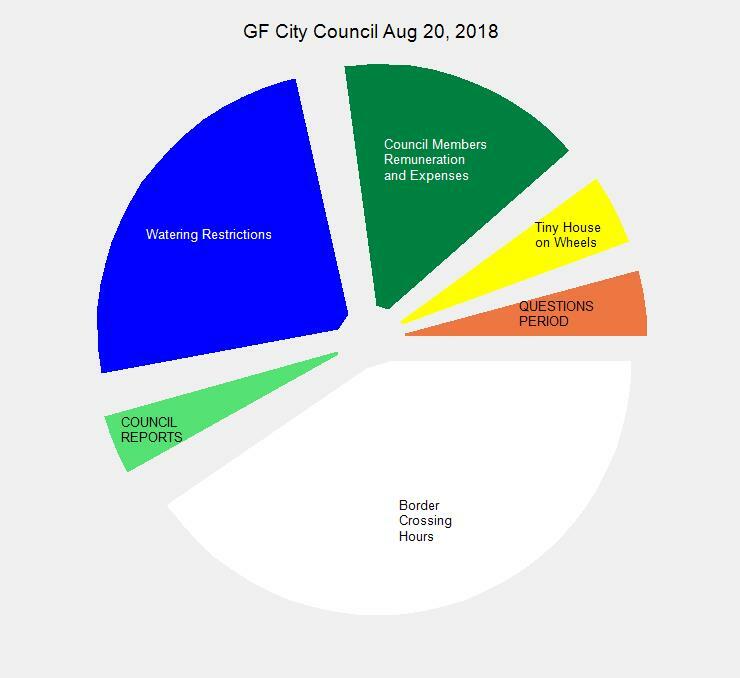 Tuesday Sept 5 was a busy day for Grand Forks City Council. 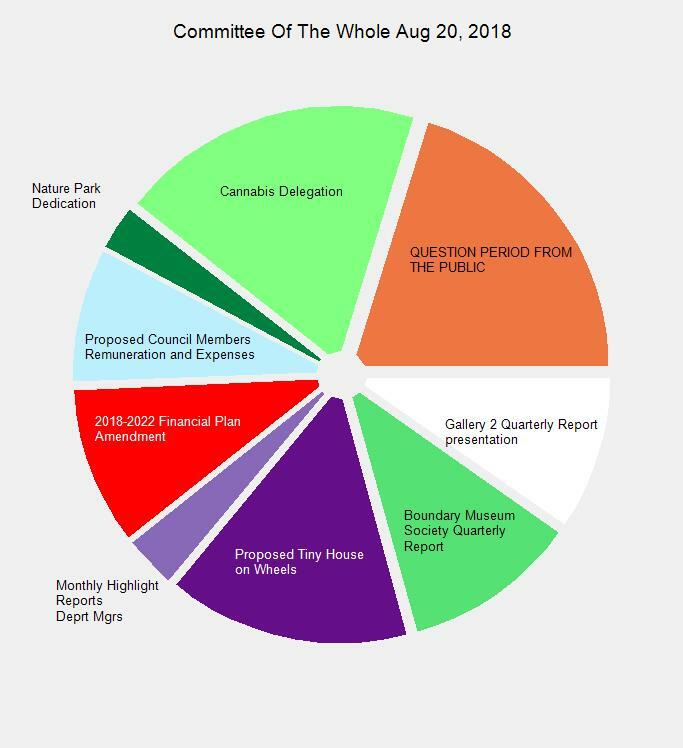 They had a Committee Of The Whole meeting at 9AM, and in-camera meeting and then the Regular meeting at 7PM. 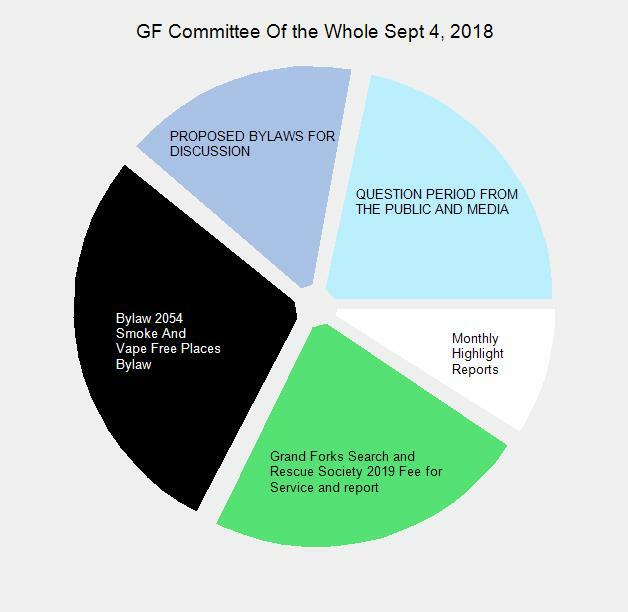 Grand Forks Search and Rescue presented during the Delegation part of the meeting. If you want a good glimpse into what they do and what that takes watching this presentation is a good beginning. Warning – there is a distinct possibility you might think of volunteering. The COTW meeting saw protracted discussion about the proposed Smoking and Vaping bylaw which I wrote about before the meeting. 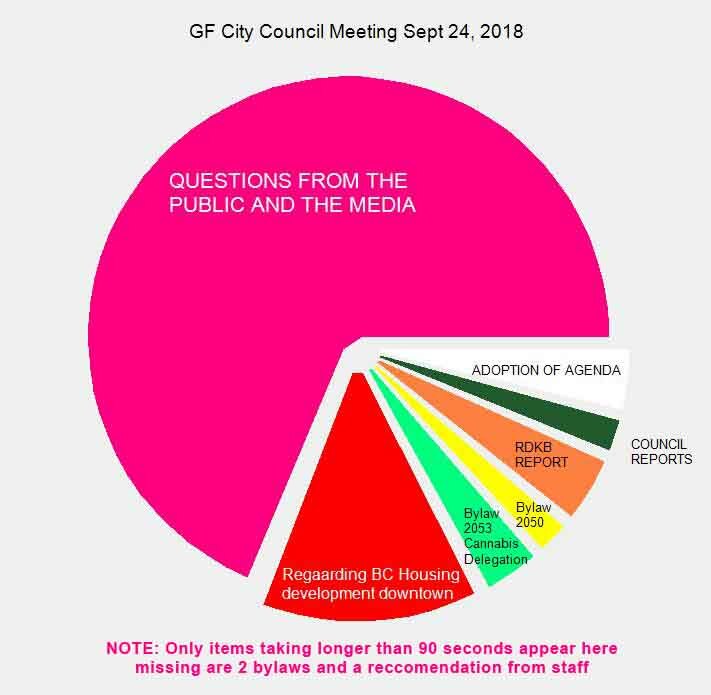 In my article I wondered which councilor(s) asked for this and during the meeting you can hear some councilor’s wondering about that aloud. No one present owned up to it. The evening meeting dealt with a number of issues. The two burned out houses on Donaldson came up for a Show Cause for Unsightly Premises. Council discussed the Cannabis Delegation issue. And they did have an announcement of the decisions of council regarding Flood Recovery in the verbal report on the Hydrology Report. For some present it was not what they wanted to hear . . . 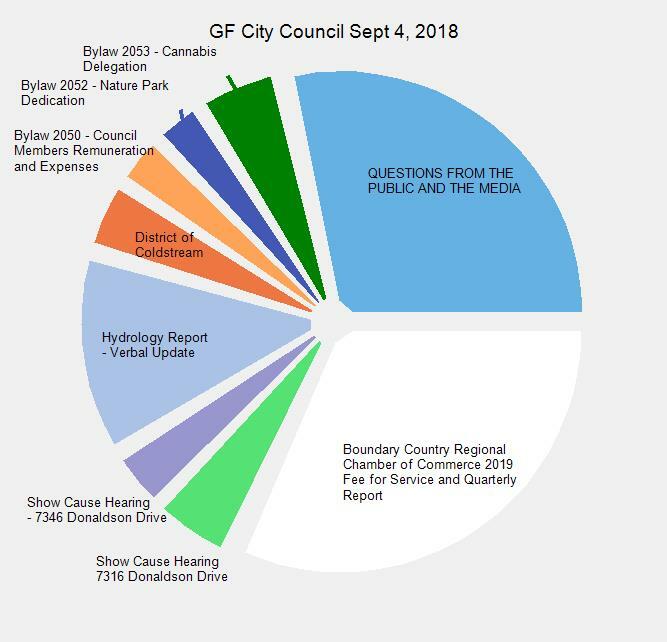 This entry was posted in City, government and tagged Bylaw 2050, Bylaw 2052, Bylaw 2053, Bylaw 2054, cannabis, Fllod, Hydrology, Show Cause, smoking, vaping on September 7, 2018 by gftvboss.